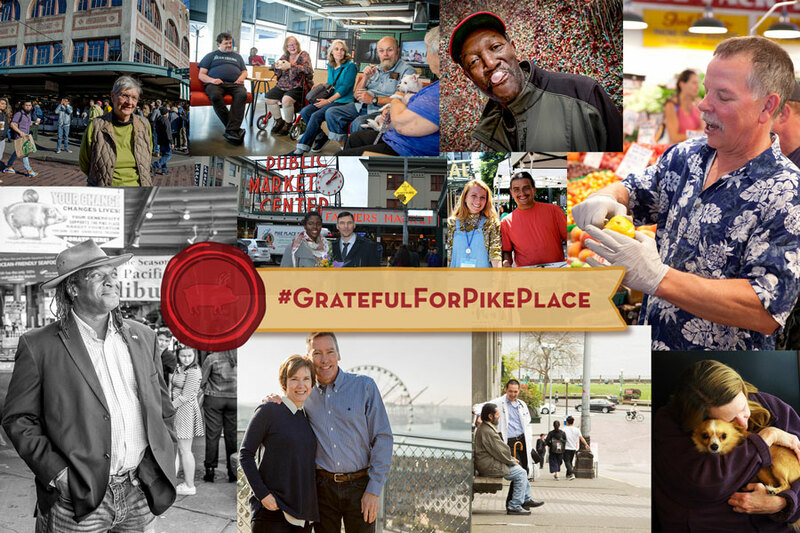 This holiday season, we’re excited to share the stories of the farmers, vendors, donors and community members who’ve made Pike Place Market the treasured landmark it is today! 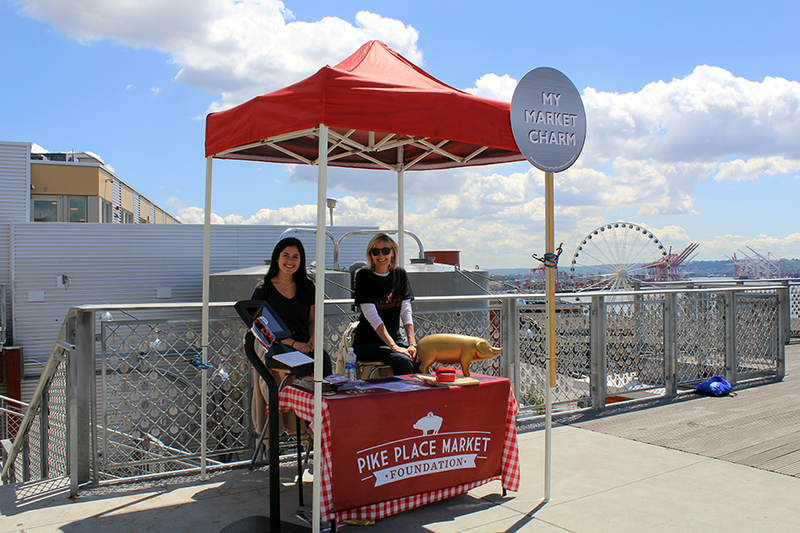 Pictured here is Jenny, one of the dozens of farmers who, today, call Pike Place Market home. Every Friday, Jenny brings her gorgeous flowers to the Market for shoppers to pick up the perfect bouquet. She loves selling at the Market – so much so that she’s been coming here for almost 30 years! When Jenny’s tractor broke down this past spring, her farming business was in jeopardy. Being the sole provider for her family, she felt helpless. 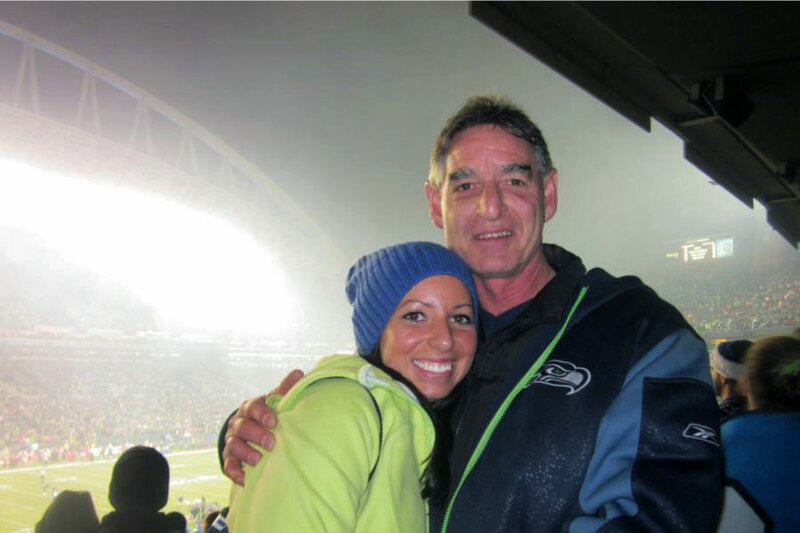 Pictured here is Issie, one of the hundreds of people who call Pike Place Market home. She’s lived here for over 30 years and in her time has been a farmer, crafter, and eventually a proprietor of her own floral shop, Best Flowers. 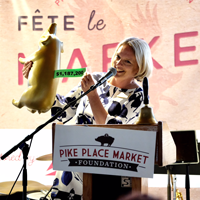 Issie is proud to be part of the group of farmers, artists and merchants who elevated Pike Place Market during its revival in the 1970s and ‘80s. 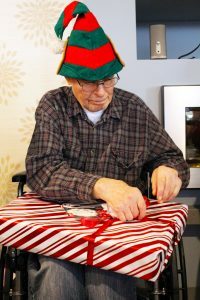 Now retired, Issie is a resident in the Market’s senior housing and is still an active member of the community. 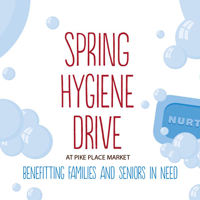 She relies on the Pike Market Food Bank to help make ends meet, visits The Market Commons to receive tech help and attend free monthly health and art programs and volunteers at the Pike Market Senior Center. 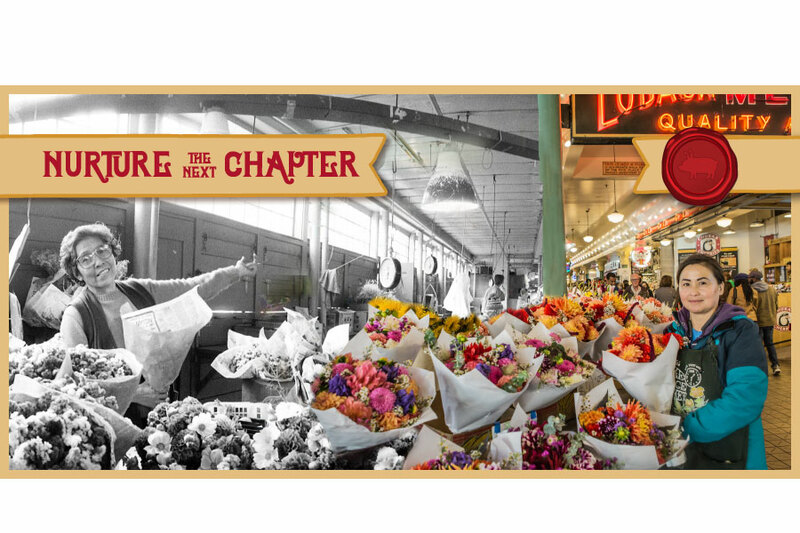 Help us nurture the next chapter of Pike Place Market. 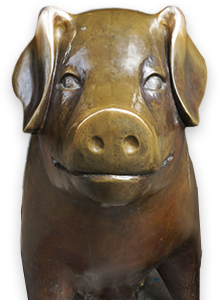 This beloved historic district in the heart of downtown Seattle only thrives with constant love, support and investment. Please give generously this holiday season to keep the “Soul of Seattle” alive and well for future generations. After the delicious Thanksgiving feast and the Black Friday deals, it’s time for us to come together and give generously today for Giving Tuesday! On Giving Tuesday, non-profits from around the world ask for your help in ensuring this holiday season is a bright one for all. ONLY TODAY, every donation up to $23,707 will be DOUBLED thanks to our Market Merchant Matching Pool! 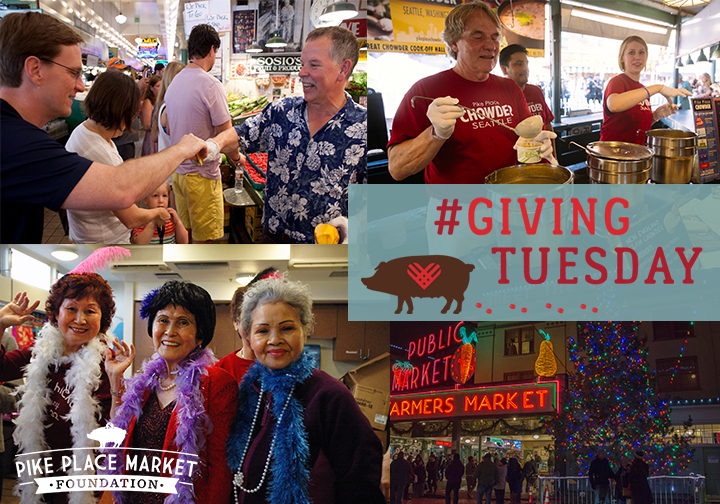 Start your holiday giving today by making a huge impact on the seniors, families, artists, farmers, vendors, and the many others who make up this thriving Market community. All donations made through Facebook will be matched on Giving Tuesday! Start a fundraiser on Facebook to help spread the word and double your impact. Thanks to these amazing Merchants who have pledged donations for the Market Merchant Matching Pool! Brighten someone’s holiday season by participating in our annual Giving Tree! Make a meaningful impact and give a special present to our seniors, families and community members! 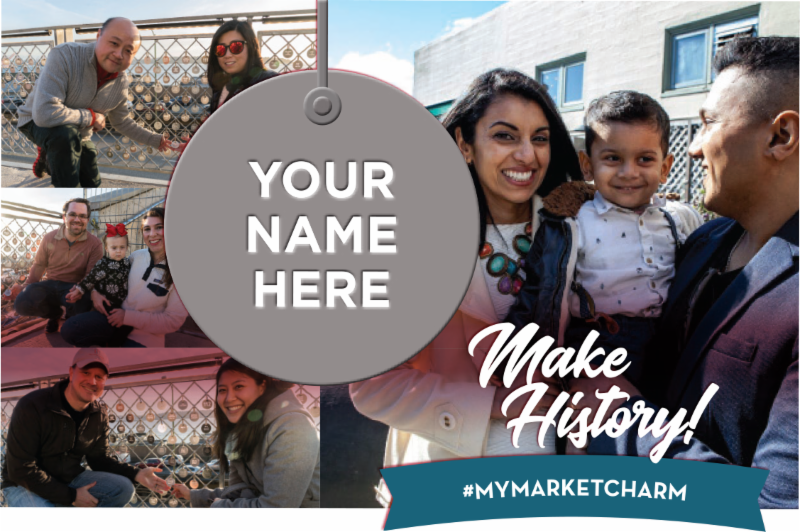 Donate today to the Market Foundation and we’ll take care of the shopping for our community members! Want to organize a holiday drive through your company or organization? Email Christi Beckley or call 206-774-5243! 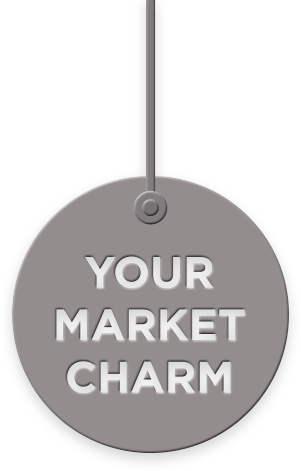 Give the most memorable gift this holiday season –Market Charms and Bronze Hoofprints for your family, friends and colleagues! Donate by Dec. 19 to surprise your loved ones with a personalized card before Christmas.